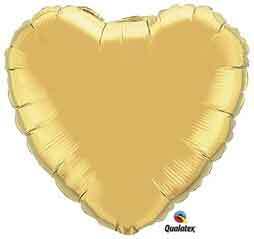 9" air-filled gold heart shaped balloon to add to your gift basket! NOTE: Balloon has more yellow color than the photo. It is the same color as the gold star balloon. These are to only be added to gift baskets. Not to be sold separately or added to plush animals.